Bitnami native installers include a graphical tool to manage services. This tool is named manager-osx on Mac OS X and is located in the installation directory. To use this tool, double-click the file and then use the graphical interface to start, stop or restart services. Server log messages can be checked in the “Server Events” tab. 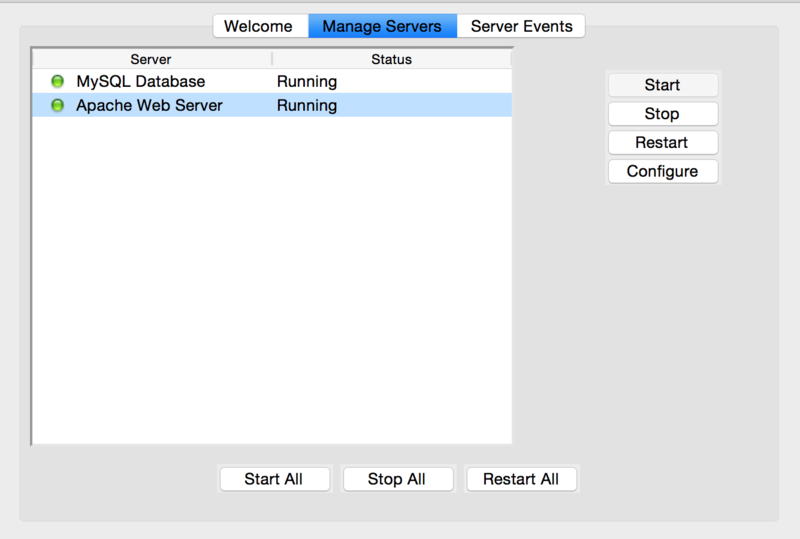 NOTE: If you are using the stack manager for Mac OS X-VM, please check the following blog post to learn how to manage services from its graphical tool.